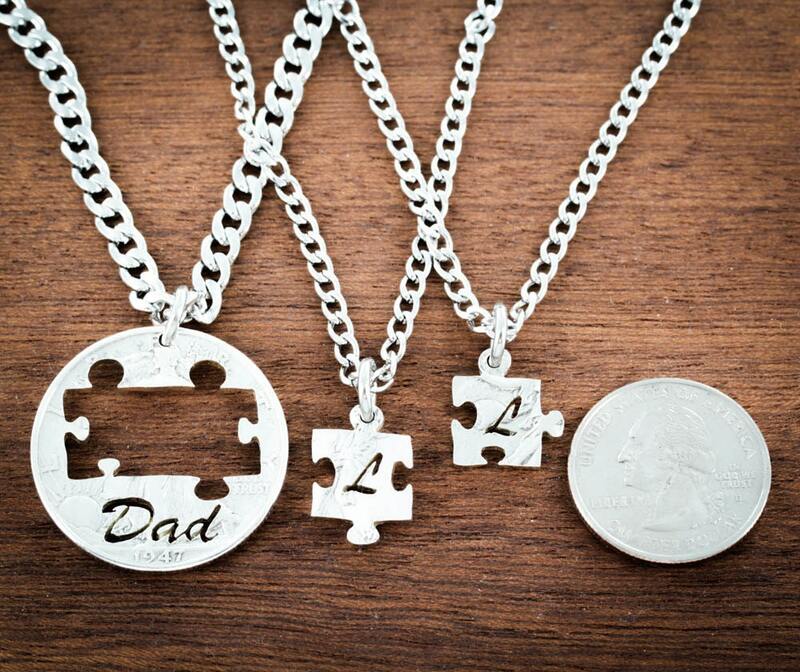 This 3 piece piece set is cut from one coin and is a great gift for dads and their kids. 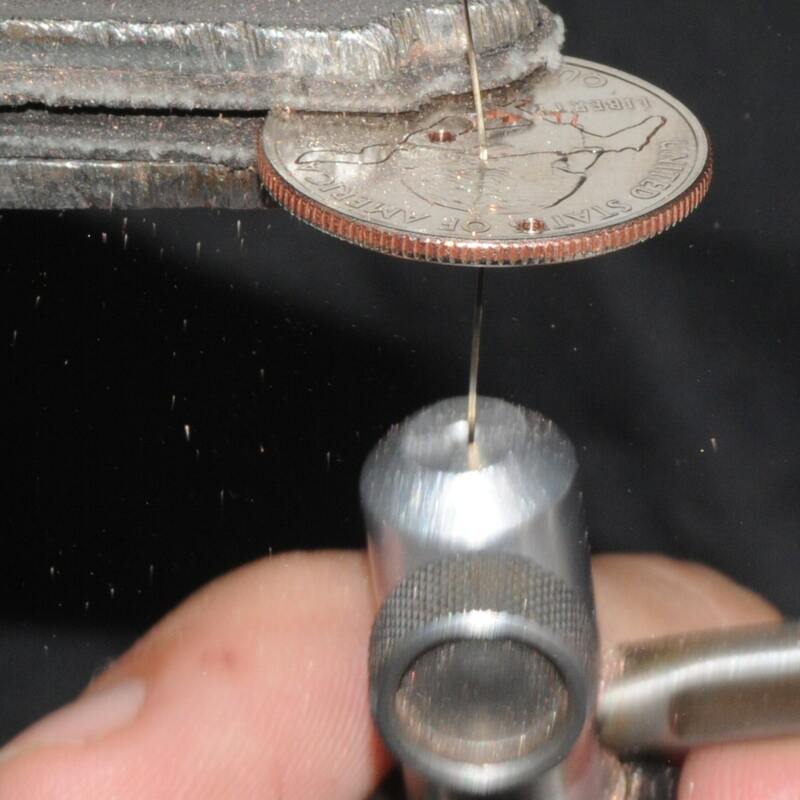 As shown, it's cut from US coin. 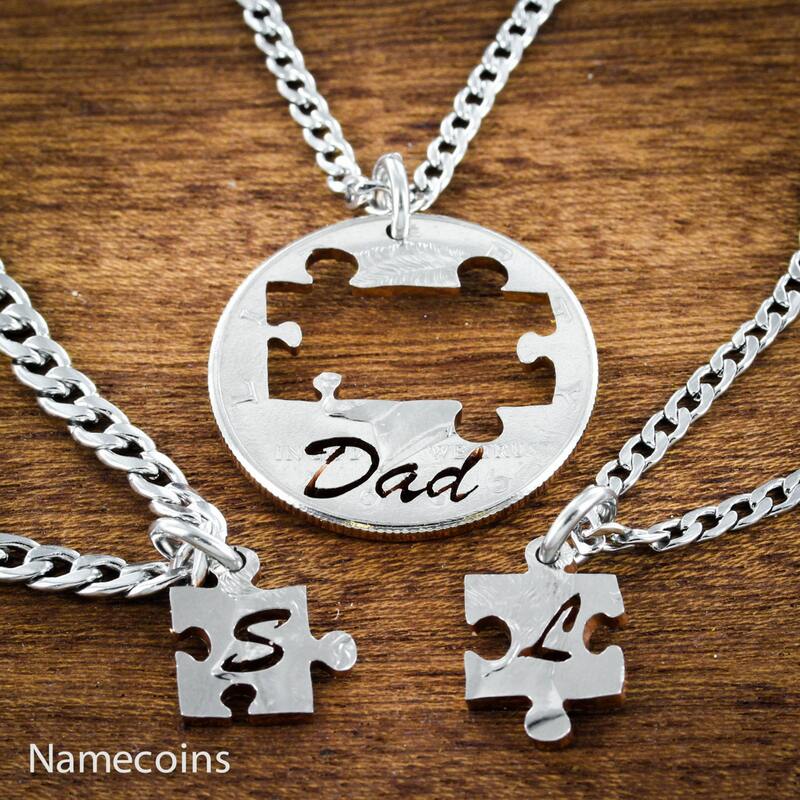 We will cut 1 initial in each puzzle piece and 'Dad' in the coin part. Please let us know what initials in the order comments!! 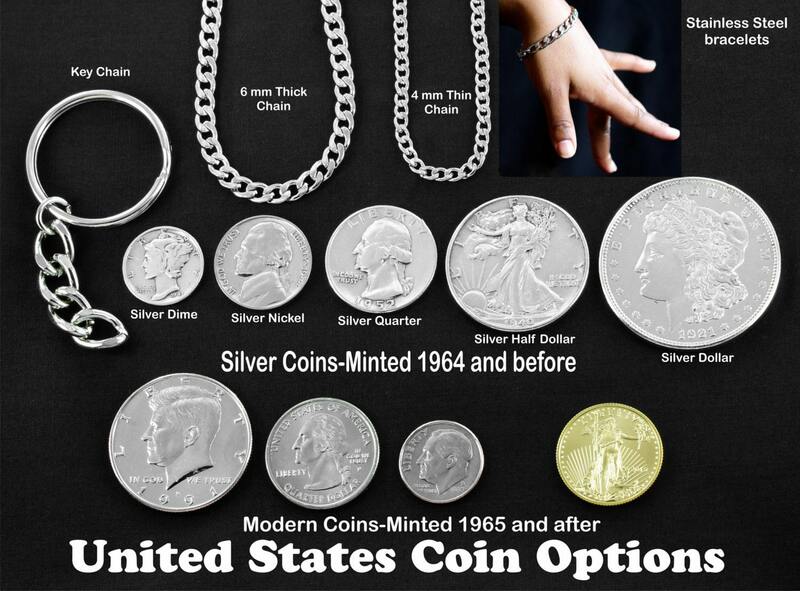 The 1st pictures shows the silver half dollar option. The second shows a regular half dollar. In the options you can choose your chain length and thickness. All our necklaces are high quality stainless steel. You can also choose key chains or black cords. 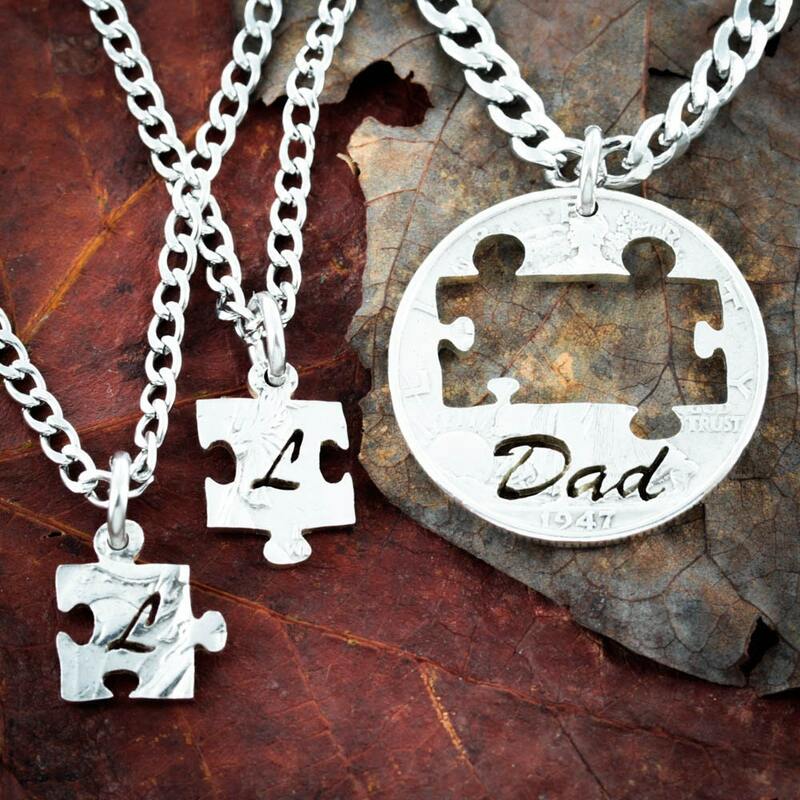 If you want different chains for each piece then please put that in your order comments too.